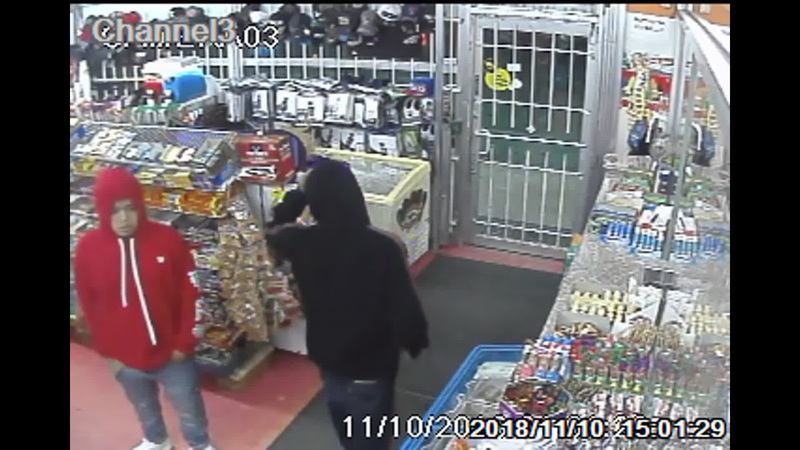 Houston police are looking for two suspects wanted in the fatal shooting of a convenience store employee at 1621 Witte Road. Today police released surveillance video on the HPD YouTube channel. The identity of the victim is unknown at this time. The fatal shooting happened around 8:30 p.m. Saturday, November 10th. 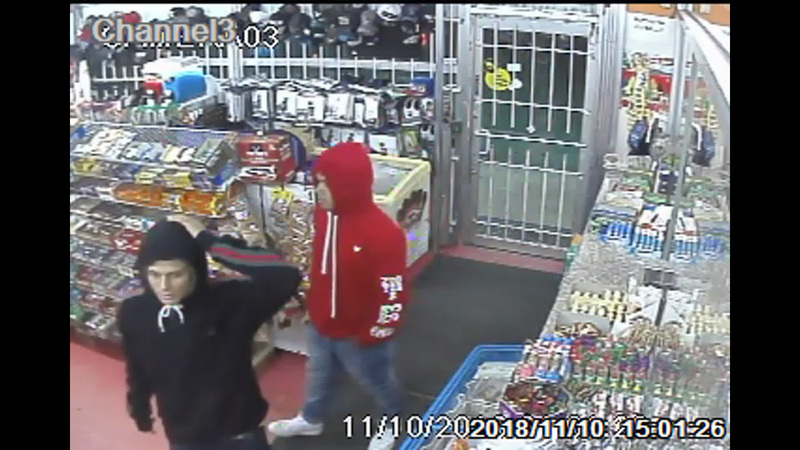 The suspects are described as 2 males who wore red and dark blue hoodies. One suspect has a light skin complexion. The other suspect has a darker skin complexion. According to HPD Homicide Division Detectives T. Fay and T. Terry, patrol officers responded to a shooting at the convenience store on Witte Road. They found an employee dead from gunshot wounds. Police believe the employee was shot during an attempted robbery. If you have any information on the identities of the wanted suspects or this case, please call the HPD Homicide Division at 713-308-3600 or Crime Stoppers at 713-222-TIPS. This entry was posted in Asian Community Alert, Asian Community Houston, Crime Alert, Crime and Safety, Crime News, Harris County News, Houston Crime News, Houston News, Uncategorized and tagged Houston Convenience Store Fatal Shooting, Houston Store Clerk Killed. Bookmark the permalink.